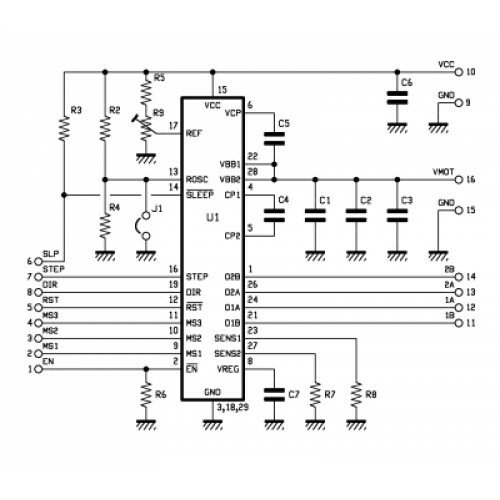 Based on the Allegro A4988 chip, this driver is able to control a single bipolar stepper motor with max. 2 A. 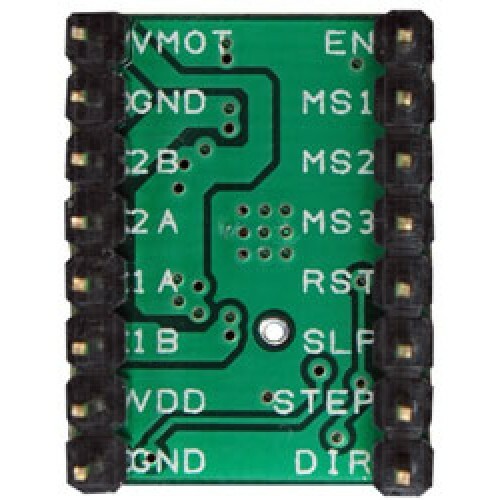 Ability to select 5 motor control modes: step, half step, quarter step, 1/8 step and 1/16 step. Sets the maximum output current using the trimmer. The four-layer PCB allow to obtain better thermal performance. 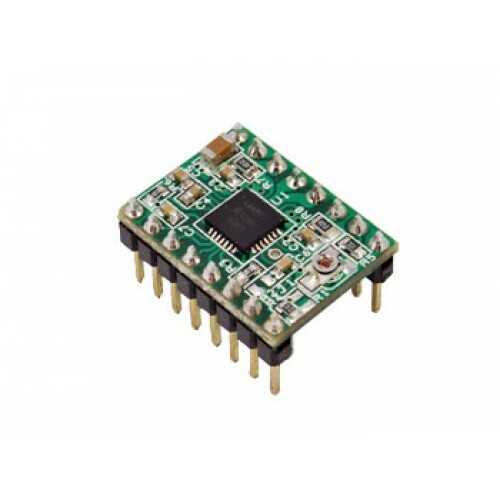 Power supply for logic control: 3.3 to 5.5 V, Motor Power: 8 to 35 V.
3D printer to print objects of maximum size of 20 x 20 x 20 cm using ABS or PLA 3mm wires. 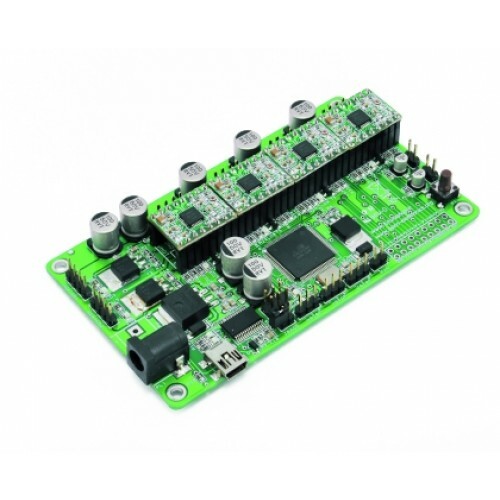 Extremely..
Based on the ATmega2560 microcontroller, allows you to manage four bipolar stepper motors to d..
Aluminum heatsink designed for use with the module 3DDRIVER. Dimensions (mm): 10x10x10, color: black..
Made entirely in SMD (except connectors) and based on the ATmega2560 microcontrolle.. This shield is used to interface to the mechanics of the machine DrinkMaker Randa. .. The P400 is a plotter that uses the hot wire technique for cutt..